The islamic terrorism in India has been scripted by Pakistan’s Interservices Intelligence (IsI) through its main strategic assets – the Lashkar-e-Tayyeba (LeT), Jaish-e-Mohammed (JeM) and harkat-ul-Jihad-al-Islami (huJI). To cordinate their activities in India, they found Indian Mujahideen (IM) in early 2000 and after that this group is held responsible for various terrorost attacks across the country. 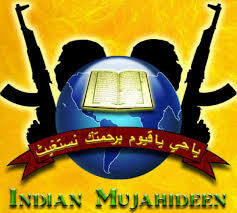 On 4 June 2010, Indian Mujahideen was declared a terrorist organisation and banned by the Government of India. It was also banned by UK and New Zealand. In September 2011, the United States placed Indian Mujahideen on its list of terrorist organisations, acknowledging that IM had engaged in several terrorist attacks in India and had regional aspirations with the ultimate aim of creating an Islamic caliphate across South Asia. A caliphate is an Islamic state led by a supreme religious as well as political leader known as a caliph (successor to Islamic prophet Muhammad) and all the Prophets of Islam. 29-Aug-2013: Indian Mujahideen co-founder Yasin Bhatkal Arrested : Indian Mujahideen co-founder Yasin Bhatkal, key accused in many bomb attacks in the country was arrested by Bihar police. According to Maharashtra ATS, the arrest will also impact the IM’s recruitment and financing, in which Bhatkal also played a key role. Along with IM founder Riyaz Bhatkal, Yasin was instrumental in forming the Punemodule, among the strongest units of the outfit. Across Maharashtra, he built a network of sleeper cells in districts including Aurangabad, Jalna, Beedand Nagpur etc. 07-Jul-2013: Bodh Gaya blasts : A series of ten bombs exploded in and around the Mahabodhi Temple complex, a UNESCO World heritage site in Bodh Gaya, India. 5 people, including 2 monks, were injured by the blasts.